The latest evidence of this hard reality: Neomi Rao — Trump’s nominee to take Kavanaugh’s spot on the U.S. Court of Appeals for the D.C. Circuit, the nation’s second highest court, who had her confirmation hearing before the Senate Judiciary Committee today. Yesterday, court watchers at the Alliance for Justice released a detailed report on Rao and it’s not an encouraging picture that they paint. Rao’s writings blaming sexual assault on survivors, rather than perpetrators, foreshadow her work as Administrator of the Office of Information and Regulatory Affairs, a government office that is taking a major role in rolling back Title IX protections for survivors of campus sexual assault. Rao has criticized the Violence Against Women Act, calling it a “grandstanding” statute. At OIRA, Rao halted a data-collection program designed to gather information on the pay disparity between genders, as a step toward remedying it. Rao wrote disparagingly about racial justice, saying that Yale “drops its standards only for a few minorities, some legacies and a football player here or there.” Under Rao, OIRA is working with Department of Housing and Urban Development to roll back protections against race-based housing discrimination. 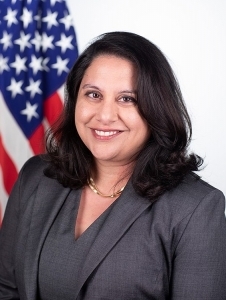 Rao has vocally opposed marriage equality and has written critically about the Supreme Court ruling in United States v. Windsor, which struck down part of the Defense of Marriage Act. Rao has written to defend “dwarf-tossing,” a degrading practice in which participants throw little people for sport or entertainment. The organization Little People of America wrote to the Senate opposing Rao’s confirmation on the basis of her views on dwarf-tossing. Rao’s record shows that she is eager to undermine the power of government agencies to create and enforce public protections for consumers, the environment, workers, and health and safety. She has argued that agencies should have far less power and in favor of a decades-old, discredited legal doctrine (the nondelegation doctrine) that would gut the recognition of agencies’ expertise and authority in their fields. Rao, like many other Trump nominees, believes Presidents are entitled to very expansive and wide-ranging powers. She believes that Presidents can overrule the other two coequal branches of government. She believes independent agencies should be under a president’s control, and she has also been critical of the independent counsel statute. Her views suggest that she would not act as an independent check on abuses of power by President Trump.